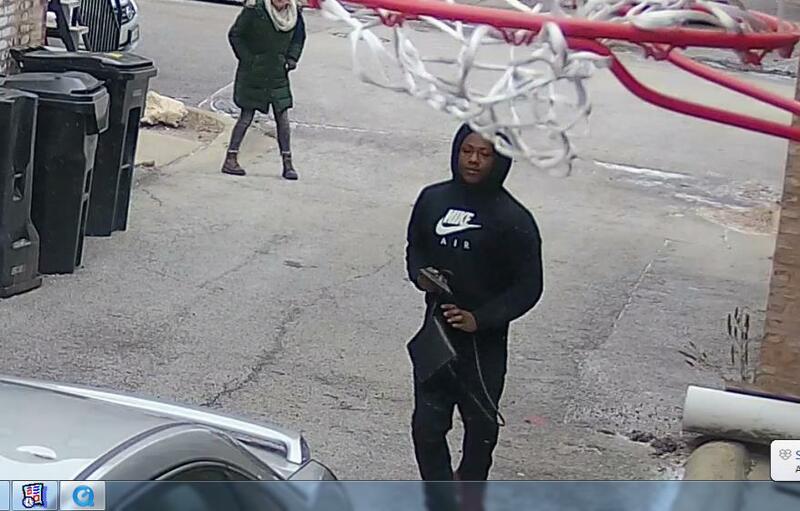 The latest North Side robbery alert from Chicago Police focuses on three incidents reported Friday in Wicker Park. But everyone can learn by watching surveillance video of one of the hold-ups. Their next move is an all-too-common maneuver for criminals: The driver quickly turned into an alley—the sudden slowing and wide turn into the alley indicates it was an afterthought—and pulled out of the victim’s view. As far as the woman knew, the car continued traveling in the alley. But it didn’t. The vehicle came to a stop. A gunman jumped out of the back seat and walked toward the mouth of the alley, arriving just in time to intercept his target. Watch the video to see the technique in action. The same method was used by a Lakeview crew that was captured on video in October. Once again, notice the car slows quickly, then turns as the target is identified. Pay particular attention when vehicles suddenly change course or seem to make unplanned turns such as those seen in the videos. Be aware as you approach corners, whether they be at alleys, intersections, or next to tall walls and fences. Consider walking on the street side of the sidewalk to put a little more space between you and anything that may be around those corners. Police said the men in the latest video used a silver 4 door Chevrolet Impala to rob two more women on Friday: in the 1600 block of North Leavitt within minutes of the hold-up that was caught on tape and in the 2100 block of West Caton around 11:10 a.m.
Their car was stolen, police said. Anyone with information about the suspects is asked to call Area North Detectives at 312-744-8263. No other news outlet tracks crime in your neighborhood like CWBChicago. Please support our efforts by subscribing for about $4 per month.